coming close to us so we could observe how it was propelled. It was propelled not by paddle power but by pedal power! Everyone sitting in it was supposed to pedal to keep it going. 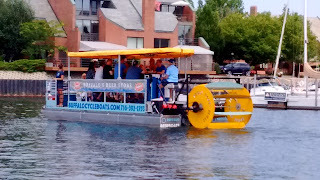 So it was both a miniature paddle steamer and a giant-sized pedalo. And of course the beer on board helped. It looked like fun. And it reminded me of the scene in the car park last year and another kind of pedal power. 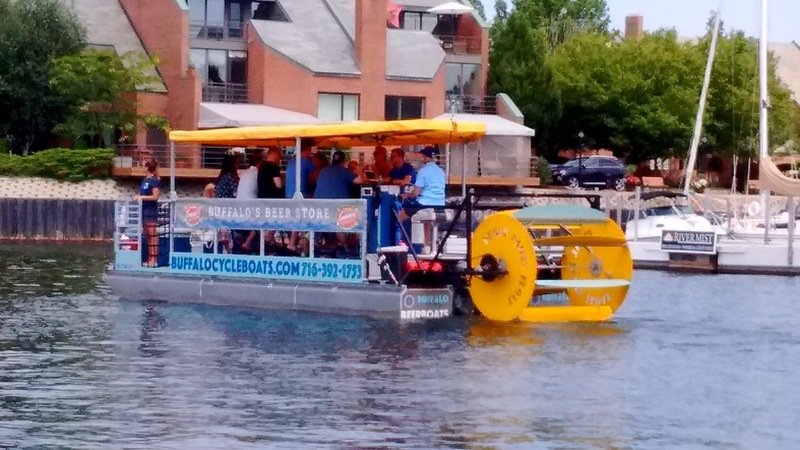 A great way to see the city but how do you make sure everyone's pulling their weight? Is there someone out of sight wielding a gong and a horse whip?